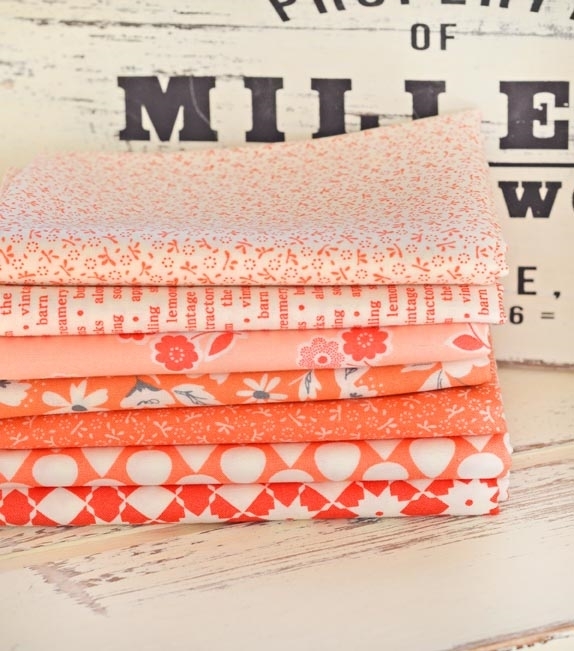 Sometimes all we need is a little bit of pink, peach or coral to add into a project to make it sing! This one is a perfect little combo of some of the newest pinks and peaches from a few of our favorite MODA designers mixed with a few favorites. Yum.